I love going on holiday, I believe it’s a time to give your skin a break from everything that it’s used to at home. Let it get some sunshine, have a break from air pollution, wear less makeup even have a break from your laptop and phone (yes these can affect your skin!). Being in the sunshine on holiday is a time a lot of us feel more comfortable wearing less makeup because of the glow we get from sitting all day on the beach with a good book and a glass of sangria! So in order to feel 100% comfortable going makeup free on holiday, I like to start prepping my skin & body a few weeks before I go. 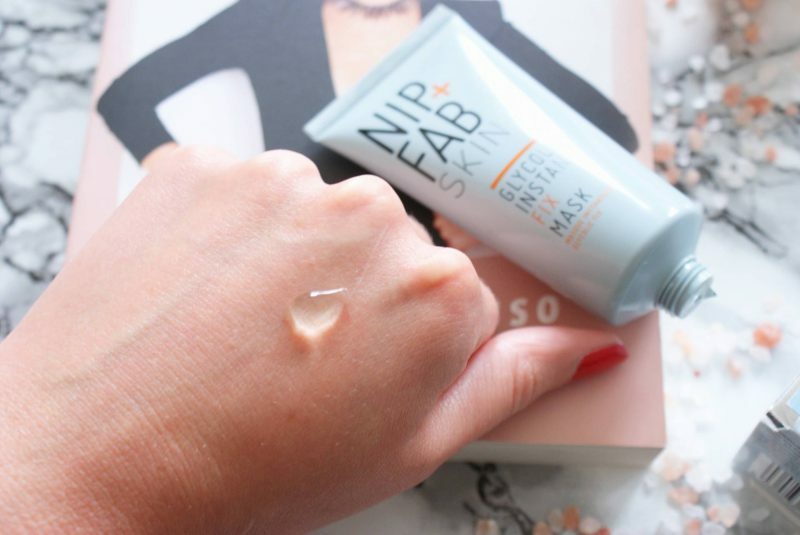 I have found new favourite products that I love from the Nip + Fab Glycolic Fix range. (I have also been taking extra supplements to take care of my skin from within, post to follow). I started with a ‘Radiance Renew’ Elemis Biotec Facial at Soprano Ice Edinburgh (see post here). Although normal cleansing gets rid of anything on the surface of your skin, to ensure the depths of your skin are getting a thorough cleanse it is important to get facials every now and then. We can hold a build up of sweat/makeup/grime in the depths of our skin that stops your skincare regime being so effective and makes makeup slide off your face. So to make sure I have a fresh canvas I like to get a facial before a holiday (and after a holiday to get rid of all the sun care). Besides my normal skincare routine the two main products I have been working with over the last few weeks are NIP + FAB Glycolic Extreme Pads & Instant Fix Mask. What even is Glycolic Acid and why would I want it on my face?? Well Glycolic Acid stimulates cellular activity and collagen synthesis to help reduce the appearance of fine lines & wrinkles and boost radiance. Think of it like a liquid exfoliator that will take all the dead skin cells away that are lying on the surface of your skin. You had me at hello . . . These little beauties have already gained a cult celebrity following with Kylie Jenner & Emily Ratajkowski revealing they are mega fans of the glycolic pads super powers! 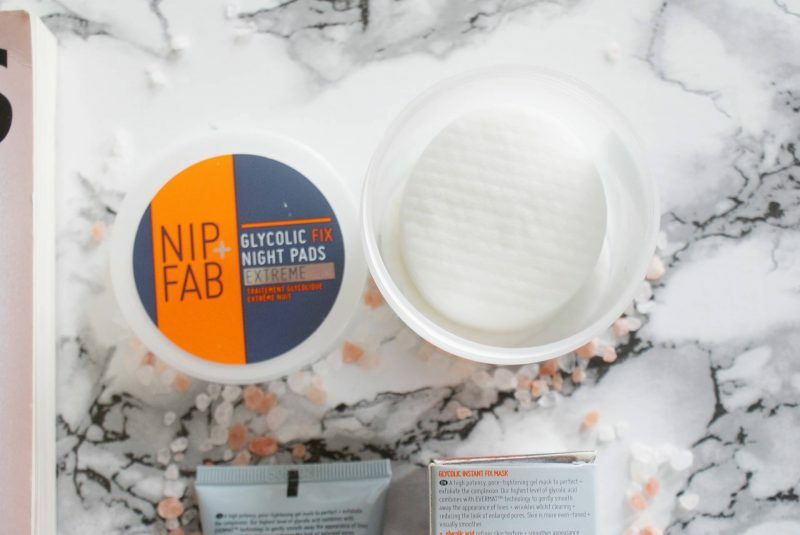 If you have sensitive skin and want to start off with a bit of caution, NIP + FAB also do Glycolic Fix Daily Pads which have 2.8% Glycolic Acid as opposed to 5% in the Extreme version I have been using (great for oily & congested skin). The reason everyone is loving these pads is they are such an easy, cost-effective way to get aaaamazing results! 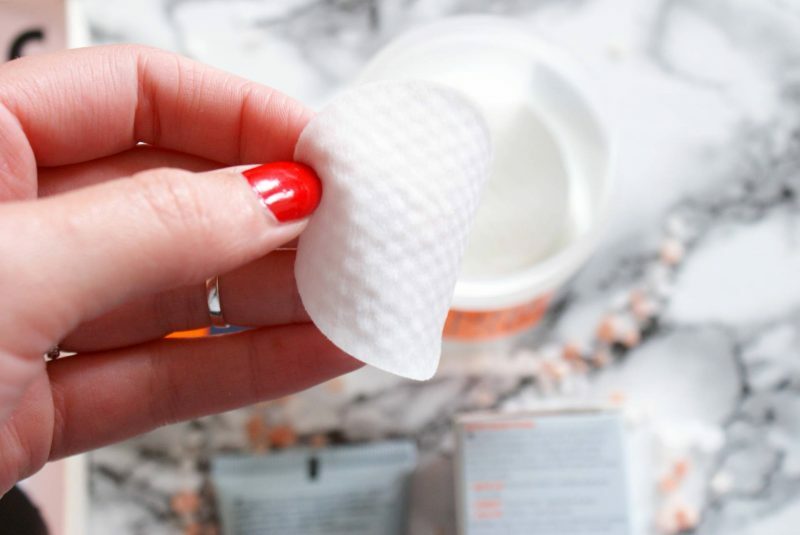 They are super-strength Glycolic acid exfoliating pads that help to refine the skin’s texture, with added Salicylic Acid to unclog congested skin and Lactic Acid to gently weaken the bonds that hold dead skin cells together. They have a concentrated blend of AHAs and BHAs to improve the skins natural exfoliation process and decongest dull skin. As someone who suffers from open pores and oily skin, I didn’t think twice about buying these. One tub contains 60 pads, so this product really is great value for money and will last you over 6 months. Wipe a pad across face, neck & décolleté once or twice a week in the evening after cleansing, before moisturiser. They have a gorgeous fresh, citrusy fragrance, I love it when skincare products smell great, it adds to the feeling of treating yourself. Don’t be alarmed if you experience slight redness when using, that’s the product working its magic. I definitely need to use SPF in the morning because I can feel my skin more sensitive the next day. This is a high-potency, pore-tightening gel mask to perfect and exfoliate the complexion. It contains the highest level of Glycolic Acid out of the range, and combines with EVERMAT™ technology to gently smooth away the appearance of lines & wrinkles whilst clearing and reducing the look of enlarged pores. EVERMAT™ is an efficient treatment for oily skin, based on a plant extract containing protoberberines with benefits including minimise pores, reduce shine and refine skin tone. Apply a thin layer evenly and leave for 10 mins…don’t panic, your skin may go quite red, it’s just the glycolic working its magic. Use maybe once a week or fortnight and be sure to wear SPF the following day! As the name suggests, because the glycolic in this product is strong it really does gives you an instant fix, you will notice much smoother skin the next day. I wouldn’t use both of these products on the same night as my skin can be quite reactive and I wouldn’t want to over stimulate it with too many treatments at once. Don’t use either of these products on irritated on broken skin as the acid may cause further irritation. I would also not use either of these for a few days before your holiday to ensure any increased sensitivity has calmed. You will notice immediate effects with both these products but remember to trial products for at least a month to get the full efficacy of them. I am loving them, and using these in conjunction with taking a collagen supplement I am definitely nothing fine lines thinning out and my skin looking plumper. 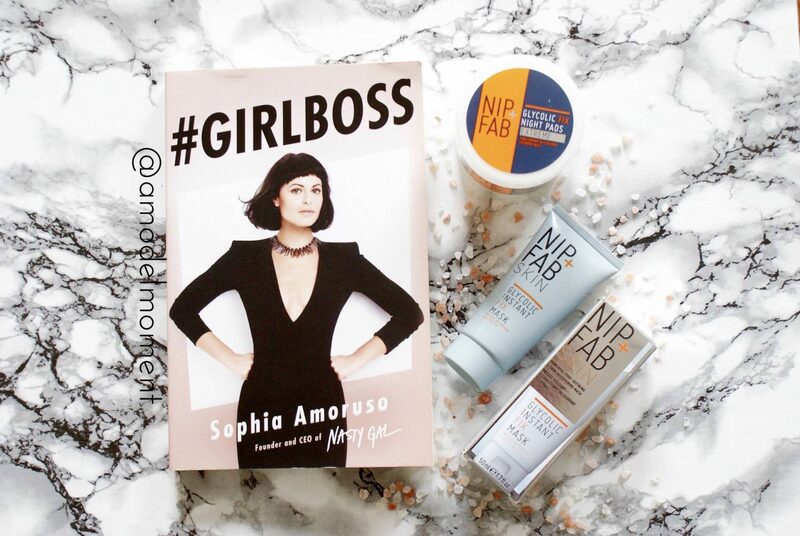 As far as Glycolic products go, NIP + FAB are providing high quality, results driven products at great value prices. I’d definitely choose these over other more expensive Glycolic products. I have also been prepping the skin on my body with body brushing, to help eliminate cellulite and exfoliate the skin. Check out how to body brush here. Hi there. Would you recommend the same routine post holiday or something more moisturising? Hi my love! It would depend what you were wanting from your skin post-holiday. Using this routine would help get rid of any build up of SPF etc but it will also exfoliate your face with each use so you may find that you lose your tan a bit faster.